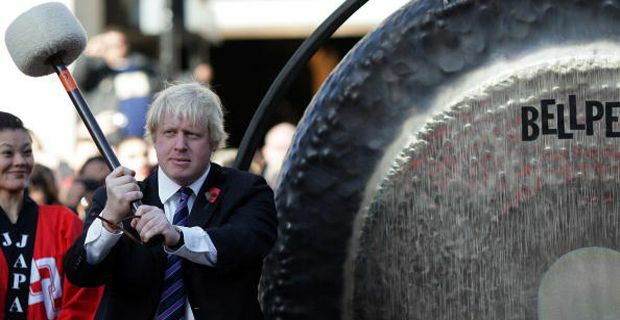 If you were to hear Boris Johnson refer to the positive benefits of ‘fracking’, you would be forgiven for thinking it was in fact a Borisism for some of his more salacious extra-curricular activities. Alas this is not really that funny at all. The Mayor of London has written a letter to The Times exhorting the benefits of fracking the South East and intends to open negotiations with energy companies in a move that whiffs (if not waffs) to high heaven of vested interest and a City stitch up. With two areas of Surrey and Sussex apparently holding 700 million barrels of recoverable shale oil, Boris seems to be angling for the highly controversial process to start work in the Home Counties. According to Greenpeace, the next round of licences to drill will cover most of London — including the Thames, the Houses of Parliament and City Hall. And there is doubtless intense lobbying going on behind the scenes by the likes of former BP boss Lord Browne’s Cuadrilla whose fracking efforts in Lancashire had to be suspended after causing dangerous earth tremors and Celtique Energie, backed by US private equity firm Avista Capital Partners. You always know when a company has your best interests at heart when they have the words ‘Capital Partners’ after their name. So is Boris really going to risk the environment, the entire fabric of the intensely built up South East and the wrath of the middle classes all for about a year’s supply of energy? Those energy companies must be laying on some devilishly fine hospitality lunches.